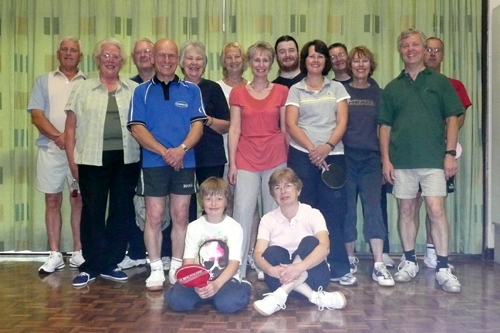 Culverstone Table Tennis Club was started at the Culverstone Community Centre in May 2003. It is a club suitable for social players and also players interested in playing in the local Gravesend and District League. Our club night is on Thursday evenings from 6.30 - 8.30pm and costs £2.50. Our home league matches are played at Hopehill Scout Hall on Tuesday evenings. If you want more information about our club or would like to come to our club night, please ring Julie Roper on 01732 824737 or email us using the Contact Us form. We first started competing in the league in the 2005-06 season and despite coming last in Division Two, we persevered and managed to win the Division in 2008-09. This team (the A Team) is now having a very challenging time competing in Division One. The 2008-09 season also saw the start of our B Team which came second in Division Two in 2009-10 and is currently leading the Division Two standings for 2010-11. For the last three years we have organised what will hopefully be regular tournaments. 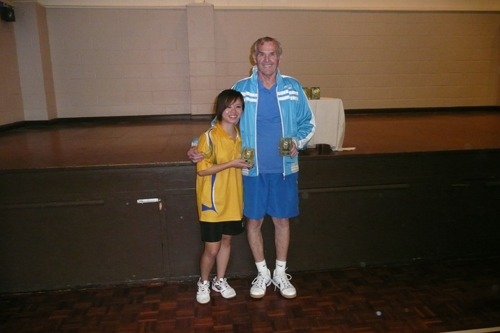 We now have a doubles tournament in May and a singles tournament in early September. 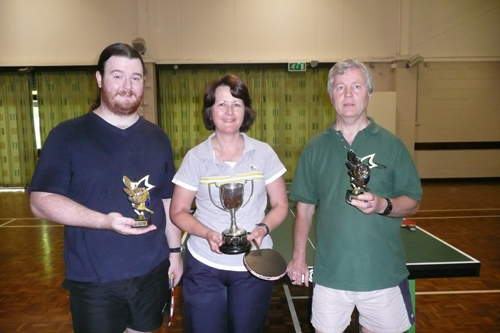 In our Singles Tournament this year we have run a ‘Cup and Plate’ style tournament where after a round robin stage, the top half of each group go into the Cup Knockout and the bottom half enter the Plate Knockout. For our doubles tournament we use the ‘Top Hat, Bottom Hat’ system where one partner is picked out of the top half of players, and the other partner is picked from the bottom half.